The HP Chromebook x2, a.k.a ‘Soraka‘, is officially official. While HP made no real noise around its release, you can now pick up the world’s first detachable Chromebook directly from its maker or Best Buy and likely other retailers in the coming weeks. Our initial impressions of the Chromebook x2 were very good and a detailed review will be on the way in the near future. 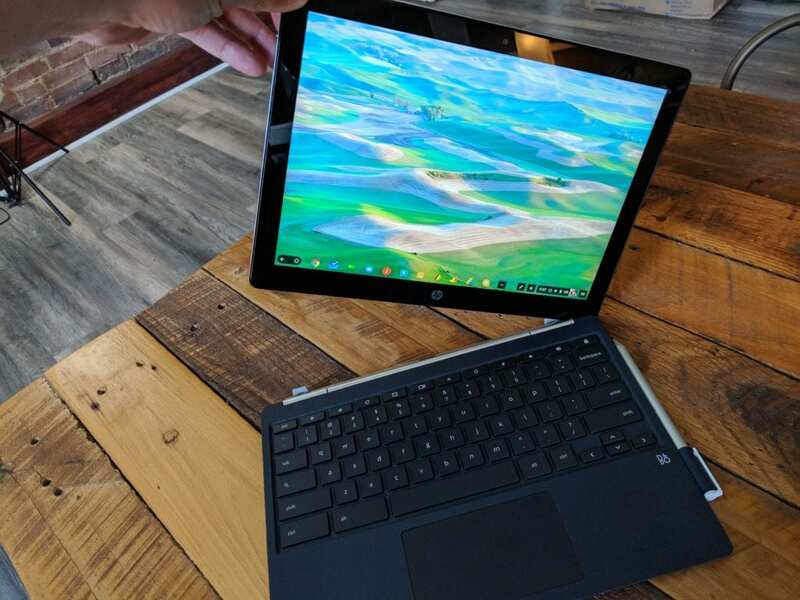 All-in-all, the detachable Kaby Lake device checks off most of the boxes you’d expect from a premium Chromebook and more. Super-bright, high-res display just like the Pixelbook, included stylus, powerful processor and a better-than-expected keyboard/trackpad experience. Let’s not forget, this is all wrapped up in a relatively easy-to-swallow price tag of $599. Even at a deeply discounted $750, the Pixelbook will find some serious competition from HP’s new flagship. While the HP Chromebook x2 has definitely dazzled, one initial concern arose the moment word began to spread that Best Buy had started selling them a few days early. Before we get into the details, I’ll go ahead and share my opinion on the matter. It’s not that big of a deal. Yes, I know that for many users, a backlit keyboard is a must and I don’t fault you for that one bit. For you, I would definitely recommend the refreshed Samsung Chromebook Pro. It’s on sale at the moment and it will run you $50 less than the HP. You won’t get a detachable but it’s still a 4-in-1 and one of the best devices on the market. With that being said, I’ve used both the Samsung and the HP. Performance wise, there’s no contest. The Kaby Lake generation Core M3 smokes the Skylake chip in the Samsung. I’ll take power over an illuminated keyboard every day of the week but that’s me. Now, about that backlit keyboard. I had a chance to chat with some fine folks at the marketing department from HP as well as a lead engineer and they did their best to clear the air a bit. I did not hesitate to tell them that I have seen two models of the HP Chromebook x2 (pre-production) that had backlit keyboards and that we wanted to ensure our readers were fully informed before making a $600 purchase. There were a number of theories as to why the keyboard backlight wasn’t showing up on the x2 but at the end of the day, it is simply a matter of less-than-perfect communication. The PDF released after HP’s press event clearly stated a full-size, illuminated keyboard. However, that is the ONLY place it was ever mentioned. The current page for the Chromebook x2 doesn’t list it. Best Buy’s specs plainly say “NO” under keyboard backlight and the press release on HP’s news site makes no mention of it either. HP’s explanation? The $599 “sku” of the Chromebook x2 was never intended to have a backlit keyboard. That doesn’t mean we won’t see one in the future but it is very likely, based on what I gleaned from the conversation, it will be a higher-end model and therefore carry a heftier price tag. Speaking of higher-end, I know there to be a Core M5 version of the Chromebook x2 but my in my chat with HP, I was informed there are no official plans at the moment on when the said device could come to market. So, if you’re holding out for a greater model, I wouldn’t recommend holding your breath. 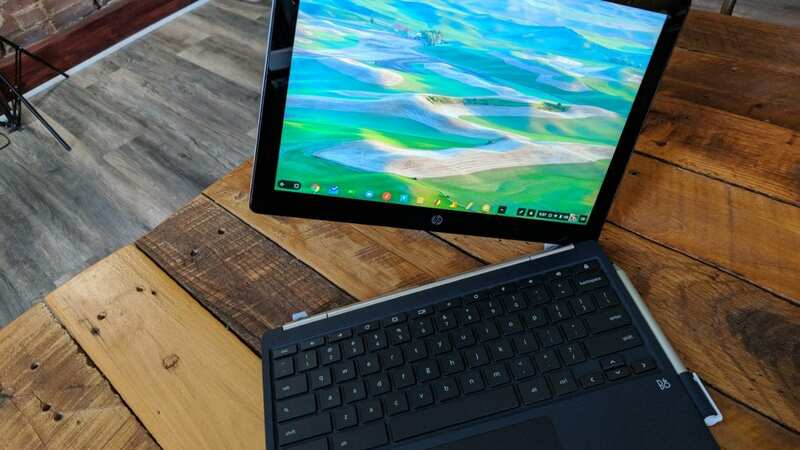 If a premium detachable Chromebook is on your radar, the current HP Chromebook x2 is not only your best bet, it’s likely your only choice in the very near future. Sorry to have to share this as I know it will disappoint many a user but it is what it is and frankly, it’s still one heck of a Chromebook for $599. Hope this helps some of you who have been on the fence about which device to purchase.